GameUp is not really a game, technically speaking. 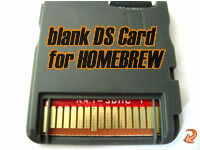 However it deserves a spot here on our list because it lets players really good Nintendo DS Homebrew games on the Internet, as well as the most recently released games to. Every person who wants the best and the latest games should have the GameUp in their collection.